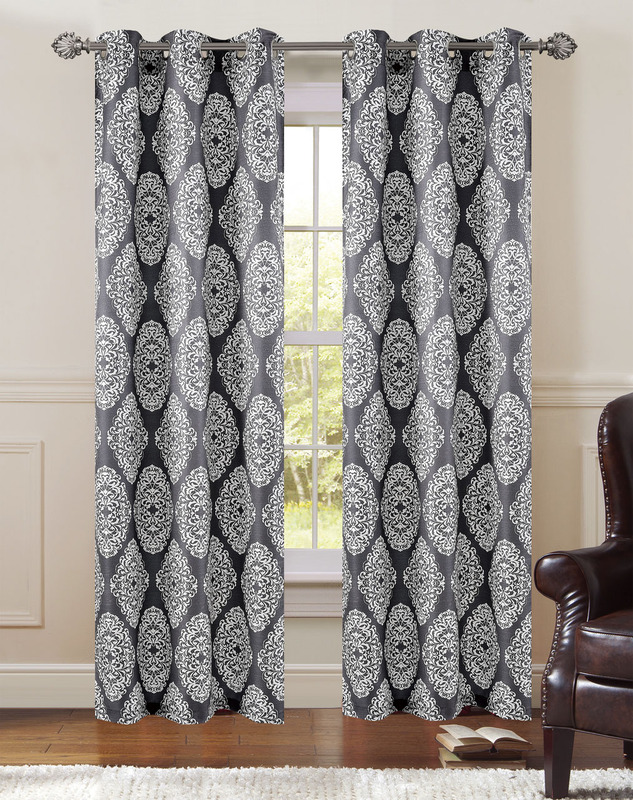 Raw silk with medallion print window panels with grommet top. Great looking and a modern touch to any decor. Available in charcoal/ivory, black/gray/ivory, black/white, gray/ivory, ivory/taupe and mocha/white.